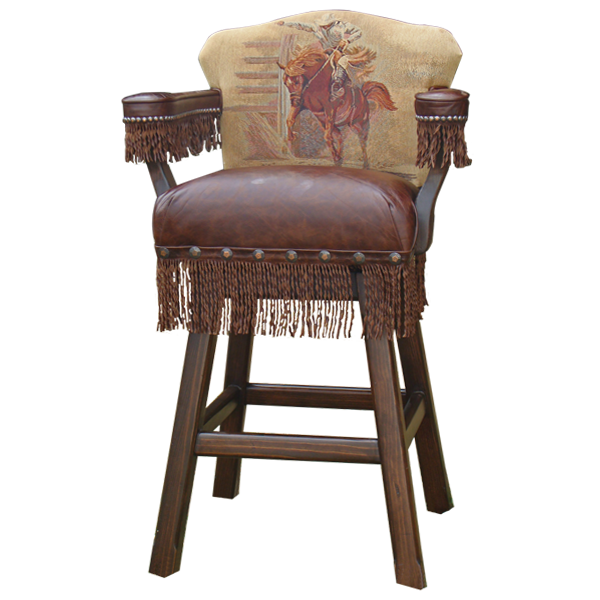 If rodeo is part of your life, then this handcrafted bar stool is perfect for you. 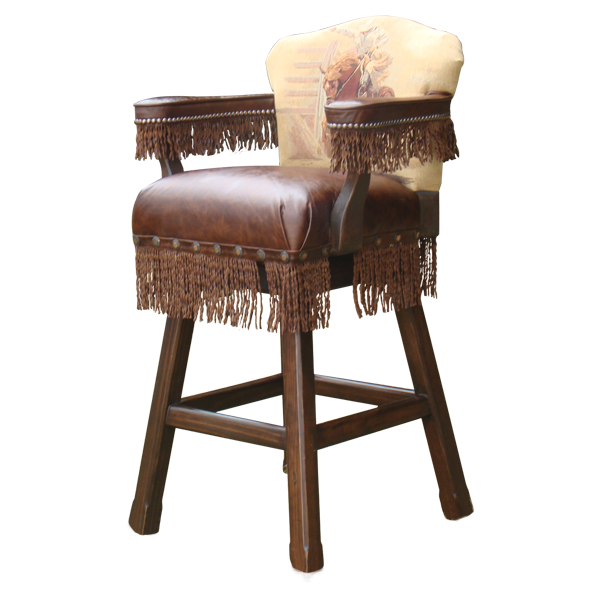 Bring the atmosphere, excitement, and the rich family traditions of the American rodeo into your home with this Western inspired custom bar stool. 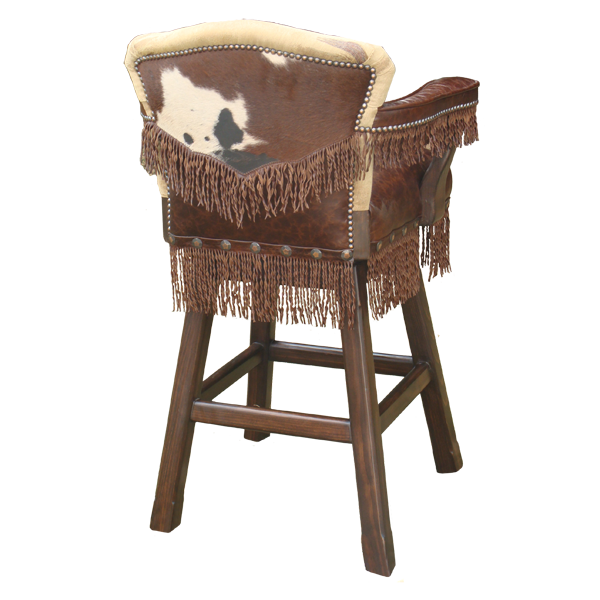 The inside seat back of the bar stool is upholstered in fine fabric with a design of a cowboy on a bucking bronc, and the reverse seat back is upholstered in genuine patterned cowhide with full grain leather fringe in a “V” pattern. The seat and the armrest are upholstered in natural full grain leather, and full grain leather fringe decorates the armrest and also the entire base of the bar stool seat. All upholstery and fringe is carefully hand tacked to the wood base by our skilled craftsmen. Durable as well as beautiful, the bar stool is made of the best wood available. The entire bar stool rest on splayed solid wood legs joined by a midway box stretcher. It swivels 180° and is 100% customizable.